Hi friends, I'm Gyan Ranjan. In this blog post, I'm describing the best social sharing sites that help to rank my site on Google. This list of 21 best social sharing sites will play an important role to rank your site on Google, Bing, Yahoo, Yandex, and other search engines. Social sharing sites are those sites that allow you to submit and share your post. These sites are with high Domain Authority(DA) and Page Authority(PA). At first, you have to complete the sign-up process of these sites. Then you can submit and share your posts to these social sharing sites. I regularly use these social sharing sites to rank my site on Google and other search engines. There are so many advantages of Best Social sharing sites. These sites are with high DA, PA and a large number of audience. So your site will get the quality do follow backlinks, high organic traffic, increase in SEO score and Domain Authority. As a result revenue from your site will increase. It will be helpful to rank your site on Google. Click on links given below. Complete sign-up process. Add your site's homepage link in the profile section if allowed. Read the terms and condition of every site. Submit posts by the following post submitting process and rules. Increase your activity by sharing your posts and reading others posts. There are so many other ways to boost web traffic SEO backlinks and DA. But you should take the help of these Social bookmarking sites and Best Social sharing sites. Because using these social sites are the best ways for it. I always use this trick to rank my site on Google #1 page. 1. 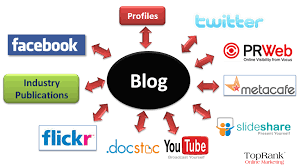 Follow SEO technology to create your blog or website. 2. Write SEO friendly useful and interesting content. 4. Publish your post after making it SEO friendly. 6. Get do follow backlinks to your site. 7. Prepare your site for Adsense approval and get it. 8. Follow the ways to increase Adsense revenue. 9. Follow the ways to increase organic traffic. 10. You can take help of the traffic exchange sites, but carefully. Don't miss my next post that may be useful for you. So subscribe now. Share and write your valuable comments. It will be helpful to develop this blog according to your need and interest.